Can we level with you for a second? Sometimes, standing out on social media seems impossible among all of the digital noise. We’re up against a lot these days. New and constantly changing algorithms that purposefully limit the reach of brand pages as a response to fake news. Lower visibility, over-saturated feeds, and increasingly-skeptical audiences. Millennials are heading out, and the illusive Gen Z is moving in. Twitter was “supposed” to disappear years ago, and instead Vine has already died and been reborn….kind of. Is your head spinning yet? Same. We’ve been harping on this for some time – you may remember our podcast episode dedicated to this topic – but we feel confident that there is an answer to all many of these pain points. 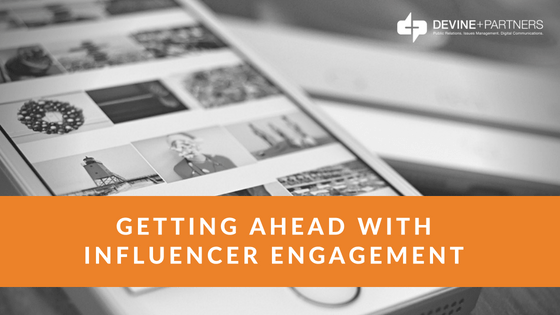 They’re called influencers and we call our practice – influencer engagement. Instead of throwing hundreds of posts at the digital wall and seeing what sticks, influencers offer a route to cut through the clutter and directly reach the audience you want to engage. And, while you’re at it, you get the endorsement of a voice that these users trust. It’s like word-of-mouth, except on the internet, and probably a lot more visual, with a few emojis sprinkled in. Engaging influencers can feel complicated and confusing at first. How do you identify them? Are these relationships earned, or paid? How much messaging input is too much before content feels forced, and not organic? Woof. Overwhelming? Sure. But influencer engagement is the new frontier, and a bit like the wild wild west. Some of these questions will never have concrete answers but instead of waiting, just jump in. Start slowly and build a larger program over time. Influencer engagement can be simple and low-barrier. Trust us, it is worth your time to dig in. 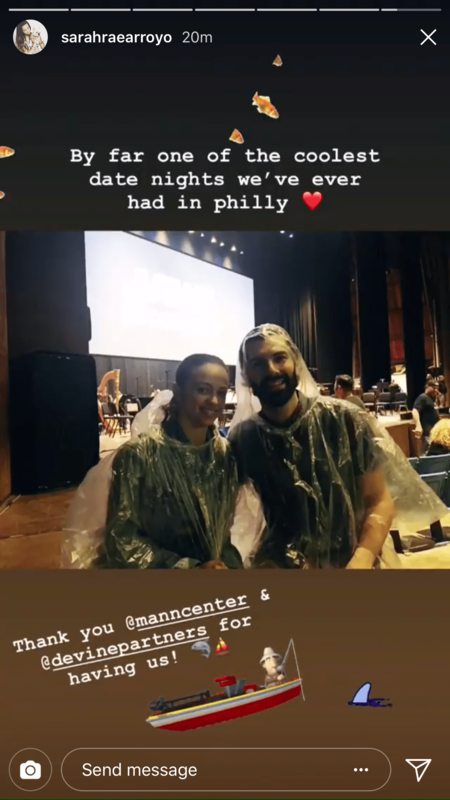 Recently, team D+P engaged a key set of influencers for our client, the Mann Center for the Performing Arts. We invited them to the venue for dinner and a show, no strings attached. Here’s what we gained, and what you stand to gain, too. New and expanded relationships. Our target list included three categories: members of the media, bloggers across our local region, and strictly social media influencers. For those we know and have worked with before, this was a new kind of touchpoint to build on past interactions. For others, reaching out to invite them to our event was a great way to kick off a new relationship. For everyone, it was a time to network with one another and enjoy an evening under the stars together. Win, win, win. Shareable content. In this case, we simply wanted to expose the group to the Mann and a great night out. No sharing or posting required. Even so, the group spontaneously created and shared plenty of fabulous, well-messaged content throughout the night. We were able to monitor, share and save the posts. This is fabulous fodder for the client’s own social media to share now and down the road, and shows that the influencers’ audiences were hearing all about the event, but through the unique lens of someone they know and trust. 3. Getting in early to a new audience. The downward trajectory of traditional media is clear which is why D+P is creating new strategies to reach audiences. The rise of social media creates a demand for instant information. Finding and cultivating valuable, like-minded influencers, outside of just having your own brand platforms, is going to be key as the media landscape continues to shift. Instead of playing catch up, you’ll be leading the pack. There is real return on investment – both immediate and long-term – when engaging with influencers. Now is the time to get on board. If you are ready to engage social media influencers, shoot us an email at resteasy@devinepartners.com.